The State Agency of Medicines (ZVA) has decided to suspend distribution of Rigvir anti-cancer medicine, while the National Health Service has made the decision to delete it from the list of state-funded medicines, reported LETA. ZVA today received results from the UK Official Medicines Control Laboratory on routine testing of medicine samples, and Rigvir samples showed a lower amount of ECHO-7 virus than approved when registering the medicine. 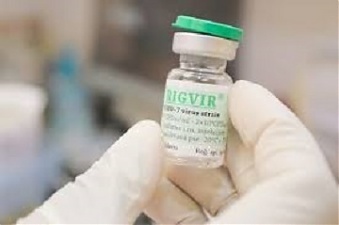 Rigvir had been tested in the official laboratory from September 2018 until March 2019, using methodology approved in Rigvir documentation. ZVA has no information about efficiency of this medicine with lower level of the virus in it, therefore a decision has been made to suspend distribution of this medicine until further facts are cleared out. Rigvir medicine has been registered by Latima company, and the company now is obliged to investigate the cause of the non-compliance with the registration and correct the situation in line with good practice guidelines. ZVA on March 19 received a letter from Latima, where the company explains that at its own initiative it has decided to suspend distribution of Rigvir in Latvia, at the same time, still retaining the registration of the medicine.